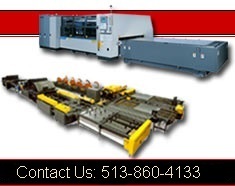 CNC Punching machines | Plate Punching Machines | Cincinnati Precision Machinery, Inc. 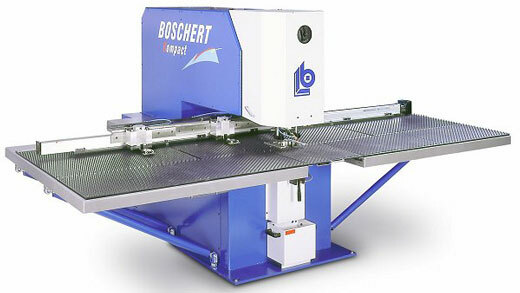 The EL Series of CNC Punching Machines from Boschert are workhorse machines for any fabricator. Some of the advantages are user friendly graphic programming, high quality with low cost, wide variety of configurations and options including: multiple heads, full rotation to the ram, RevoTool, engraving, forming and tapping. These Boschert Punching machines are extremely flexible including heavy duty c-frame construction allowing working of oversized sheets by turning and automatic repositioning function. The Boschert EL Series Punching Machines come in single, twin, or tri head configurations. X-Axis Travel - 40" - 120"
Y-Axis Travels - 20" - 60"
maximum material thickness - "1/4"
Maximum punch diameter - 4"
maximum stroke length - 3.5"
positioning accuracy - plus minus .002"
repeatability - plus minus .001"
More CNC Punching for Less Money....The CP Series of CNC Punching Machines from Boschert Precision Machinery are the perfect machines for production, short-run, one-off or prototype work. The Boschert CP Punching Series represents over 50 years experience in building high quality sheet metal machinery. 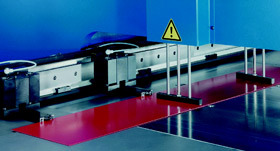 Heavy-Duty C-Frame construction allows working of oversized sheets by turning and automatic repositioning function. Heavy duty clamps for work pieces up to 450 pounds. 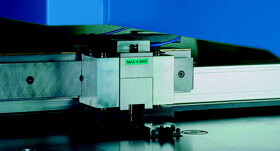 The machines of the Boschert TWIN Series are equipped with TWO INDEPENDENT PUNCH HEADS. 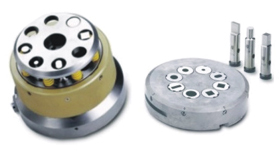 The Twin Models equipped with both Rotation and Revotool can for example utilize a parting tool with 360° stepless rotation in head 1 for punching of all contours and utilize an 8-station Revotool in head 2 for punching of 8 different holes. This gives the innovative benefit of working without tool change. 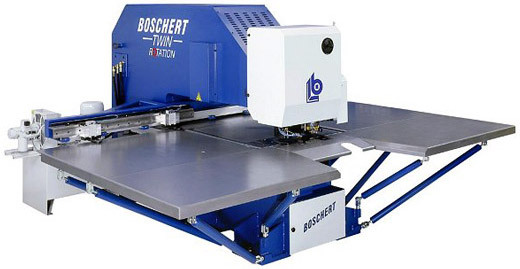 The TWIN Series of CNC Punching machines from Boschert Precision Machinery are workhorse machines for any fabricator. - Full Range Of Built-In Pattern Functions Including: Circle, Circular Cut-Out, Rectangle, Matrix, Etc. The machines of the Boschert TRI Series are quipped with THREE INDEPENDENT PUNCH HEADS. Using three tools or even a REVOTOOL enables sheet metal machining with several tools, giving the innovative benefit of no tool change.